Gerber Propel Tactical Automatic 30-000718 or 30-000842. 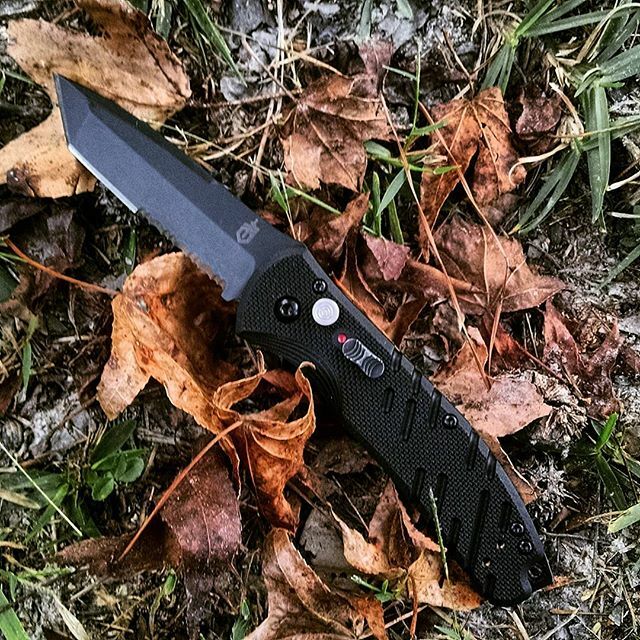 Propel yourself to get this knife- you will not regret it! 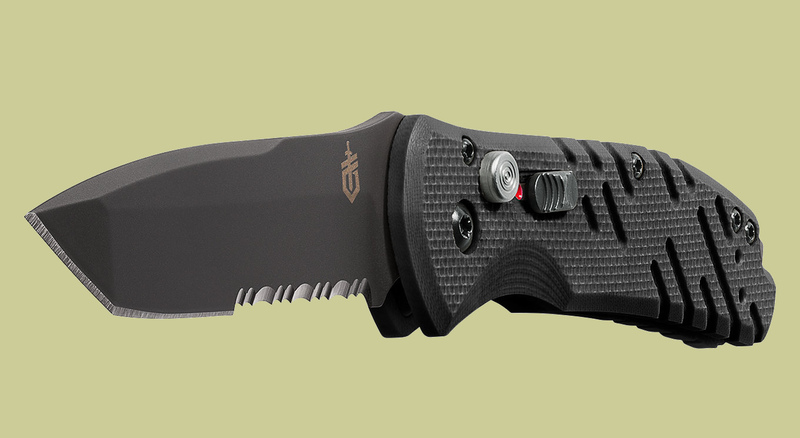 This full-size tanto-style blade is partially serrated which makes this knife versatile for any situation. The blade is made of high quality 420HC Steel for long-term durability and a quality edge. Open with one push of a button and then lock it down with the plunge lock system. Black Oxide coating on blade. 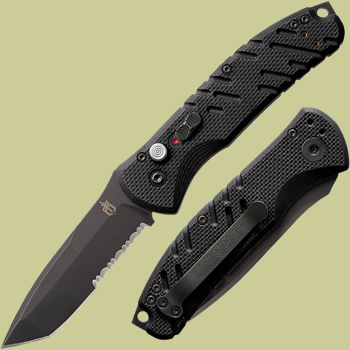 The handle is made from black G-10 scales for secure grips and on the back is an adjustable, three-position pocket clip for customizable stowage. Lanyard hole on the end. Requires credentials to buy - papers must be faxed in and then this can only be purchased by phone.